Unlike the Heart is a quest to understand a mind, from the mind governing it, and offers much to appeal to different interests. 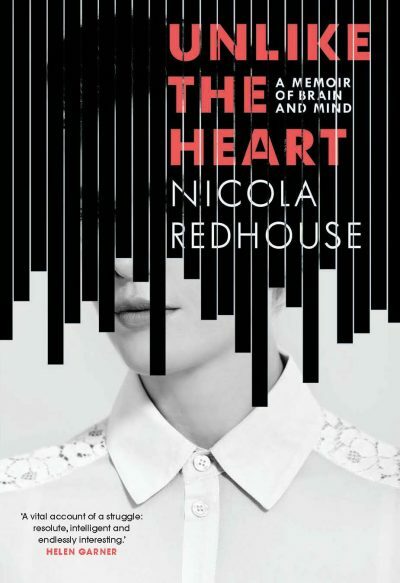 Nicola Redhouse relates her troubled pregnancies and disabling post-partum anxiety and depression; a family history informed by both parents’ interest in psychoanalysis; the place of psychoanalysis in relation to psychiatry, psychology and neuroscience; and finally, her quest to heal. Psychoanalysis is one of the main themes of the book, with particular focus on how it weaves into Redhouse’s understanding of her PPD, and her writing contains a lot of carefully researched detail about its history and progression since Freud. Redhouse’s illness and recovery after both children, and how it relates to her own ideas of motherhood is another strand of this memoir. In this sense the book reads pleasingly like a series of personal revelations, with an analytic structure of delving and uncovering, connecting fragments and ideas to create meaning. Redhouse’s book reminded me of Jessica Friedmann’s Things That Helped, in the sense of disruption and scrambling that being a parent can mean, Oliver Sacks’ intriguing case studies into the brain and mind, and Jay Griffiths’ description of the dizzying paralysis and isolation of mental illness ameliorated with words and art in Tristimania. Scrupulous, tender and interesting, Unlike the Heart is a deeply felt meditation on how we live and feel.